From Dodge’s elite Street and Racing Technologies division (SRT) comes this special edition Viper GTS in anodized carbon. A colorway unique to this specific vehicle, we have to say we love the way it suits the car (so much more than the banana yellow and cherry red popular in the cars heyday). 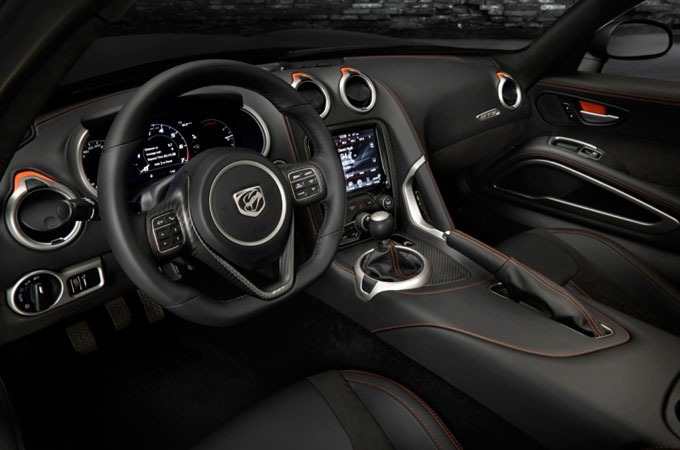 Along with this custom color, the SRT Viper GTS also features “Rattler” wheels, anodized carbon gas tank hatch, contrasting orange brake calipers and carbon fiber brake ducts. 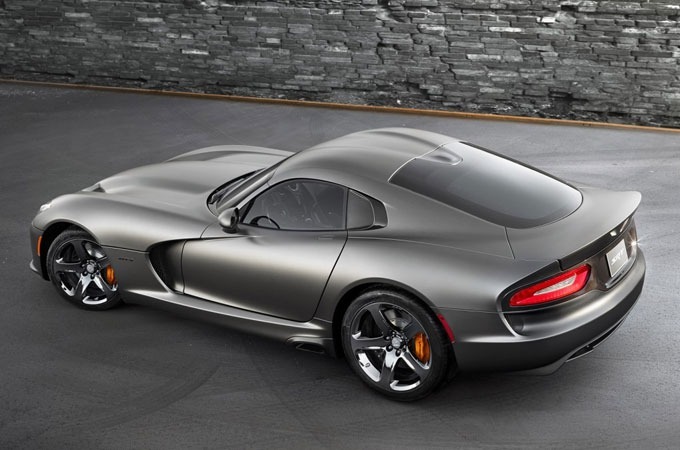 Of course, under the hood sits an SRT-tuned 8.4-liter, mid-front V-10 engine that puts down an astonishing 640 horsepower. 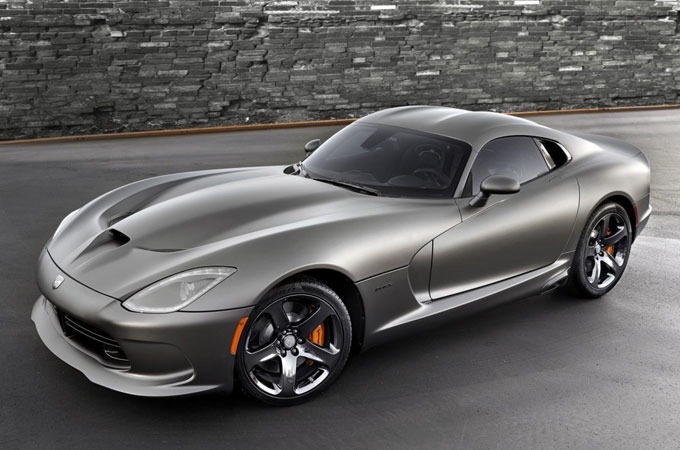 Limited to only 50 units, this 2014 SRT Dodge Viper GTS Anodized Carbon Speical Edition is sure to become a serious collectors item for fans of this American-made beast. Expect the car to arrive in select garages starting in January 2014.